Use Mapquest or Google Maps! Take Exit 6A for Hwy 40-East. 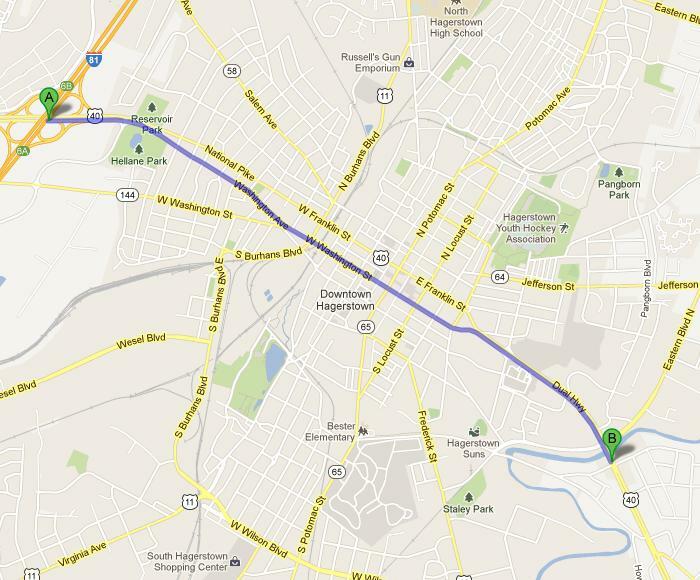 Go 3.5 miles thru Hagerstown. Hotel is right after Eastern Blvd. Take Exit 32B for Hwy 40-West. 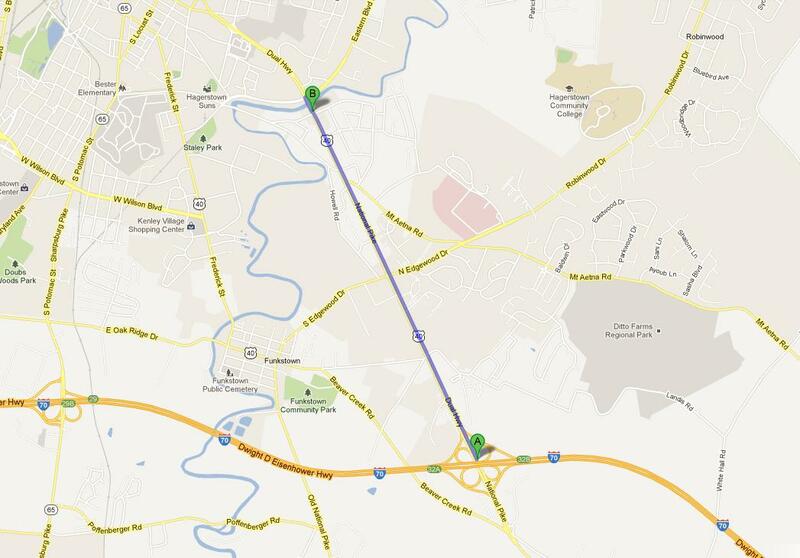 Go 2.5 miles toward Hagerstown. Make a U-turn at Eastern Blvd.